Halifax Learning Centre has long been using books like Pigboy, Dead-End Job, I.D. and Not Suitable for Family Viewing as part of their remarkable Spell Read Literacy Program. 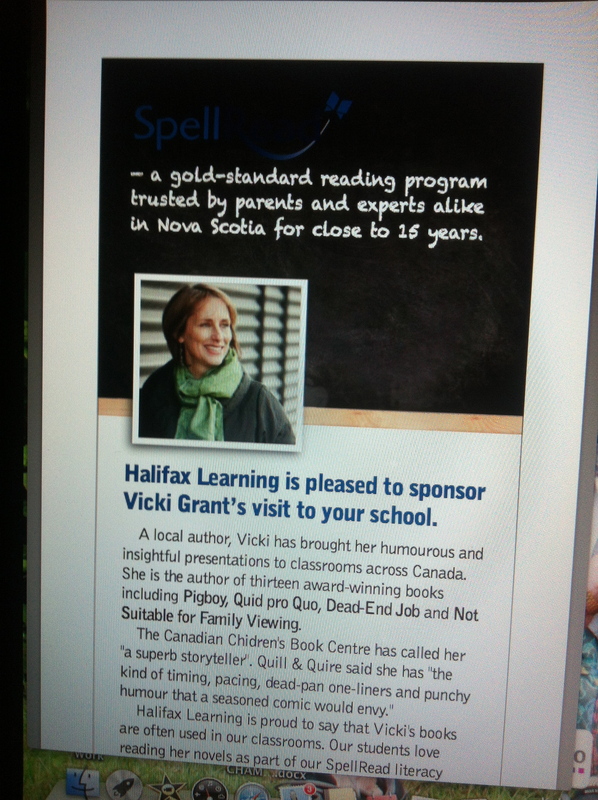 Now I’m thrilled to announce that HLC is once again sponsoring my visits to schools throughout Nova Scotia. This November, I’ll be meeting with hundreds of kids in Grade s 5 through 12 to talk about my books and writing life as part of Halifax Learning Centre’s Celebration of Literacy. Thanks, Halifax Learning Centre, for this wonderful endorsement.